During his tenure running the Department of Justice (DOJ), Sessions put into place a legal wall at the southern border to stem the tide of rising illegal immigration to the country and prevent border crossers from being released into the interior of the country after being caught by Border Patrol. Sessions’ border reforms included a hiring spree of immigration prosecutors, sending additional immigration judges and prosecutors to the border to speed up deportations, enacting a series of asylum reforms to tighten rules, and majorly expanding prosecutorial discretion over border crossers. The latest numbers from the Immigration and Customs Enforcement (ICE) for Fiscal Year 2018 reveal how Sessions’ directives were the most effective policies enacted thus far in the Trump administration to properly hold border crossers accountable, ICE officials said in their report. 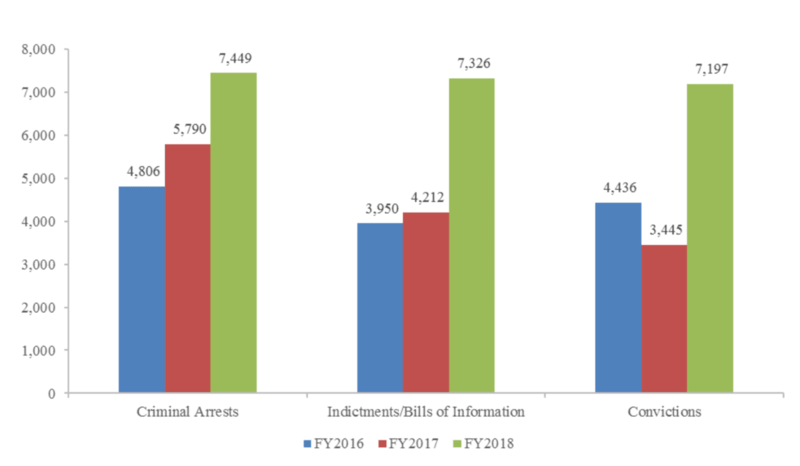 “While [ICE] showed significant gains in all meaningful enforcement metrics, perhaps none are more impressive nor have made more of an impact on public safety than its prosecutorial efforts,” the ICE report states. Between September 2017 and October 2018, federal immigration officials made 7,449 criminal arrests of border crossers for mostly illegally entering the U.S.
Of these almost 7,500 border crossers, almost all were indicted and more than 96 percent were successfully prosecuted and convicted for illegal entry into the country, a direct result of Sessions’ reforms. This is more than double the number of convictions in Fiscal Year 2017, or about a 109 percent increase, and about double the number in Fiscal Year 2016. 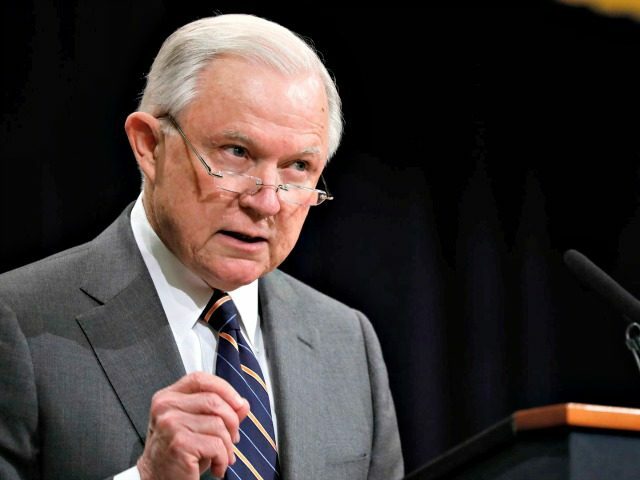 Sessions’ reforms also increased the number of indictments of border crossers on mostly illegal entry charges by more than 85 percent and the number of criminal arrests conducted by 84.5 percent since 2016. As Breitbart News most recently reported, Sessions’ hyper-focus on reducing violent crime across the country is expected to deliver the largest drop in the U.S. murder rate in half a decade. Crime analyst Jeff Asher predicts that should the 2018 murder rate decline by four to five percent, this will make the murder rate half of what it was in 1980, the deadliest year in American history.